Our vision is a Long Beach where all residents live in affordable, accessible, quality housing in healthy and empowered communities where government officials are responsive to the social and economic needs of all residents. Housing Long Beach’s mission is to improve, preserve and increase the supply of affordable housing for the well-being of Long Beach residents through community organizing, policy work and systems change. Like our Facebook Page for the latest updates! Read about this months Leader’s Spotlight, and how these residents are helping to make a better Long Beach. 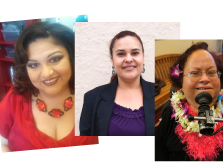 Read a Leader Spotlight from the archives!